Explore the fabulous range of textiles in the Himalayan Fashion exhibition with talks from specialists and handling opportunities. Guest speakers include Gina Corrigan and Karin Altmann. 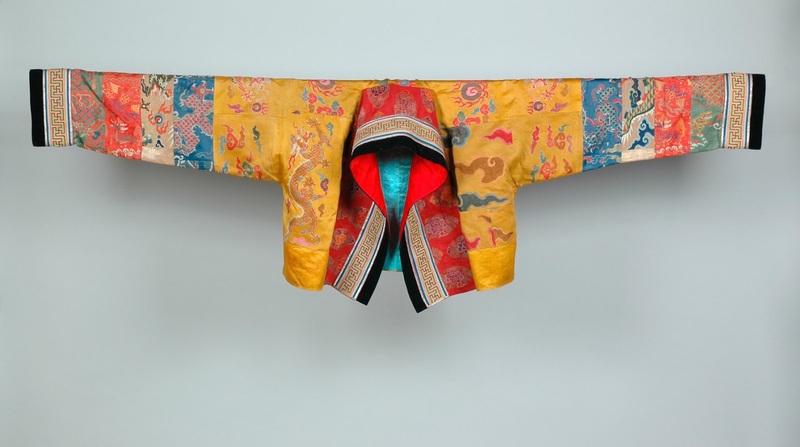 Antonia Lovelace, the exhibition curator, and Karen Horton, the conservator who restored the elaborate pagor turquoise woman’s headdress from Tibet on display, will also be presenting. Cost: £30 per person, or £25 for members, students, or those over 60. Lunch at Lotherton Stables Café is included. To book please contact Wendy Shuttleworth by email wendy.shuttleworth@leeds.gov.uk or by phone on 0113 3782966. Payment by can be made by card over the phone or by sending a cheque to Wendy Shuttleworth. The event is limited to 40 places. Call for information - Southern whalers as collectors and donors. As part of my PhD research at Royal Holloway, University of London I’m looking for both museum and personal collections in Britain and the Pacific that have links with British whalers. I’m focussing on the collecting activities of captains, surgeons or crew associated with the British Southern Whale Fishery between 1775-1860. These whalers were only active in the southern hemisphere and not part of the northern or arctic fisheries. Their collecting habits encompassed all types of artefact, from material culture to natural history, cartography and drawings. Do your museum collections have any links with these whalers? These collections tend to be few and far between but if an artefact originates from the southern hemisphere and is linked in any way to whaling or whalemen please do let me know! You can read more about her project and find out how to contact her on the Royal Holloway website. Museum Ethnographers Group members are encouraged to have a look at the AIM Biffa Award History Makers grant programme. Eligible organisations can apply for grants of up to £90,000 to create an exhibition telling the story of their chosen History Maker – someone who helped shape the world we live in today. All the details can be found on the AIM website. We’ve already funded some great projects celebrating history makers from the worlds of education, engineering, sport, health and science, but we want more. We are looking for projects that use the life and achievements of extraordinary historical figures to inspire and educate people today. Your History Maker may not be a well-known public figure, but their life and/or work will have helped shape the world we live in today. People are making history all the time, so we are happy to consider history makers from any period, including more recent history. We want the programme to be as representative of the population as possible, so are particularly keen to hear from projects based on women who made history and history makers from diverse backgrounds. The programme is open for Expressions of Interest now until the end of September, with the final application deadline at the end of October. Please feel free to contact Tim Burge, History Makers Project Manager at historymakers@timburge.org if you’d like to discuss a possible application and please pass this message on to any others who might be interested.